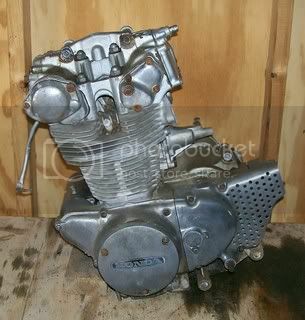 I have been provided the great honor and priviledge of working with Brother Habanero52 to build the engine for his CB450 "La Pastinaca"! 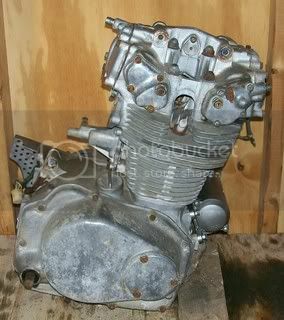 We will be completely disassembling this engine and building it from the bare cases with a lot of photos so for all of you who share the love affair with the CB450, or high performance engines in general, you will not want to miss this thread! Here are a couple photos of the engine as I received it from Brother Habanero52. I'm working on one myself, will be interesting to compare the two! Can't wait to see what madness you come up with Joey! Brother Swagger I can not wait to see yours! This is the kind of build that I always look forward to doing as Brother Habanero52 is really great to work with and is providing a wonderful list of parts! 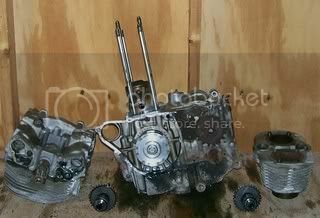 I started disassembling the engine for cleaning and inspection while some of the parts were on the way. I removed the cylinder head, cylinders, side covers, etc. I disassembled the cylinder head and started cleaning it in preparation for all of the machine work. 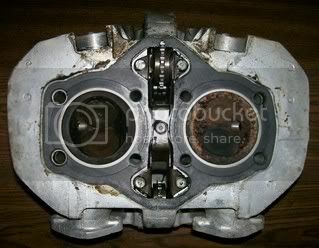 Notice the CB450 has an aluminum head with steel semi hemispherical combustion chambers. If it looks like any of your others it'll be stunning! Thank you for the compliment Brother Swagger it means more to me than you realize, your work is very nice as well! I split the cases yesterday. 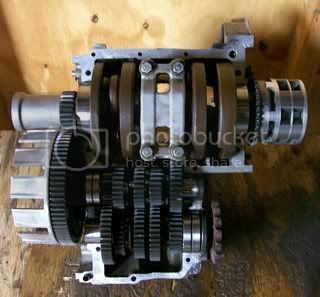 Today some of the parts came in including a close ratio 5th gear! 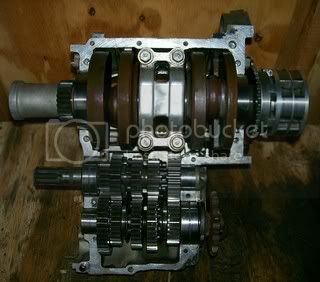 Before I fully disassembled the bottom end I wanted to test fit the close ratio fifth gear so I removed the main and counter transmission shafts and gears. 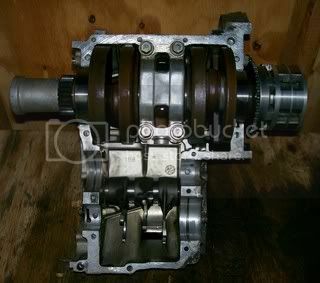 This photo shows the mainshaft with the stock 5th gear. The mainshaft with the stock 32 tooth 5th gear removed. 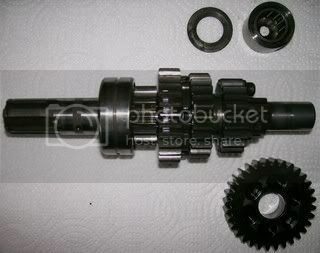 Here is the mainshaft with the 31 tooth close ratio 5th gear installed, and the stock gear in the bottom of the photo. I installed the mainshaft, countershaft, and gears back into the case to check the fitment of the close ratio 5th gear, it went togethor beautifully so now I can completely disassemble the cases for cleaning. Is that a new 31T and does it come with a matching gear for the other shaft or does it just have more backlash? That gear looks brand new - is it? NOVA in the UK list top gear as 25-23 and first as 16-30 so something must have changed over the years. The honor is all mine! I am delighted with the way you are handling the project and the communication between us. 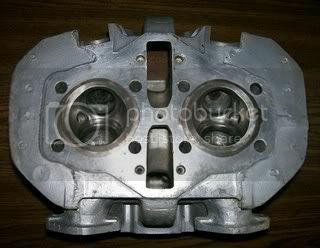 I know that this will be an enviable engine once you have completed it. Teazer, that is a spanking brand new gear! It did not come with a matching gear, for it is not available any more. Right on Joe! This will be a jewel for sure. Brother Teazer as Brother Habanero52 already mentioned it is a new gear, the stock gear in this engine was a 32 tooth and the new gear is a 31 tooth. 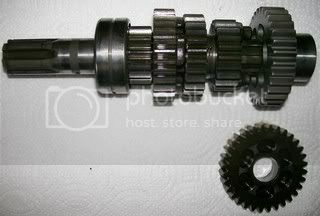 Both gears can be seen from the side in the photos above as well for a tooth count. The backlash specs that I have for the CB450 show the servicable limits as 0.0037-0.0074 in. 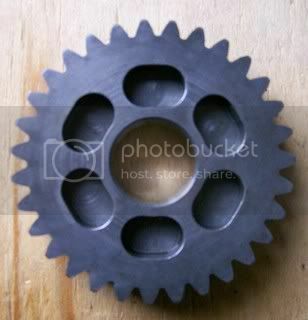 or 0.094-0.188mm for 3rd, 4th, and 5th gears. The new gear falls within this range, I will put gauges on it and get the exact number if you are interested. The gear appears to have been designed and cut with the correct amount of backlash to be run as a drop in replacement for use with the stock countershaft gear, it definately has a very nice fit!